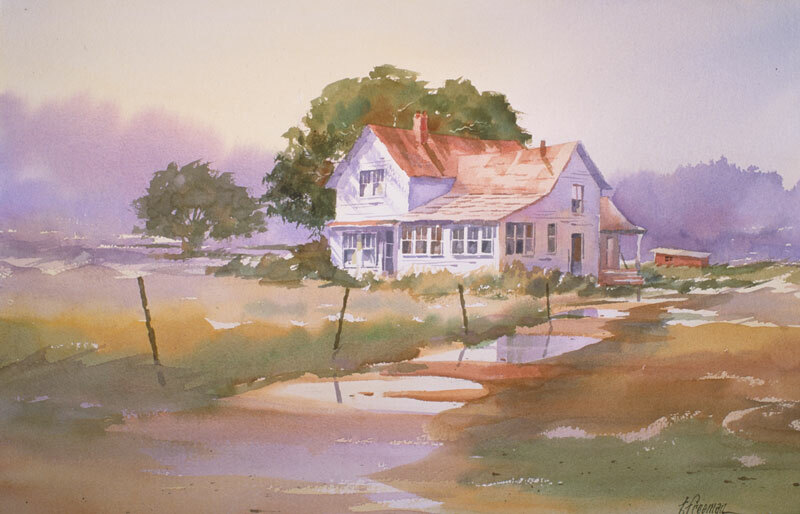 Thomas Freeman Original Watercolor Painting: "Rural Route #4"
This painting of an old, deserted house originated from a black and white sketch made on site. We used to own a cottage near Lake Michigan and I did many a sketch of the surrounding countryside. This sketch probably sat for 30 years before I chanced on it and developed this.